In N.E. Thailand women weave on teak looms kept under the house. 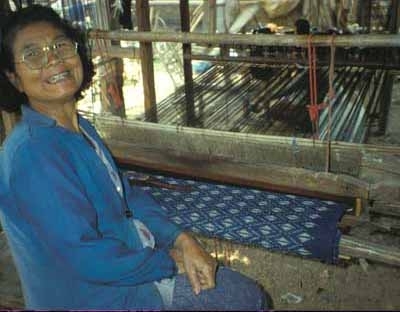 This weaver is working on an indigo-dyed weft ikat cotton “phasin.” Traditionally worn by upcountry women, this tube skirt can be easily adjusted to any size when worn with a large fold in the front and turned at the waist. 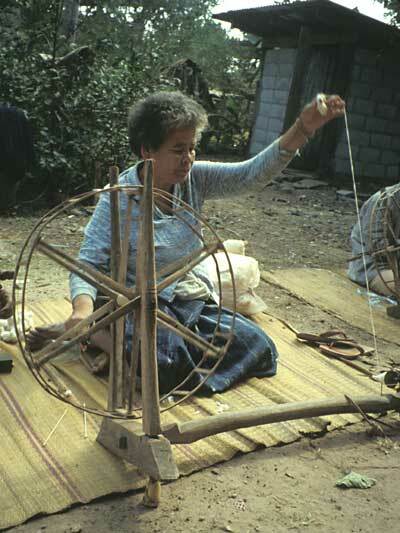 As she weaves, she arranges the weft thread at each throw of the shuttle so that the pattern design emerges.